Summary: If you're moving to Chile, this is a must-read article that covers it all - best places to live, healthcare, earthquakes, driving permits, schools and more. Chile is breathtakingly beautiful. Where you decide to live depends upon a number of factors. Are you moving with children? If so, are you interested in local schools, bi-lingual schools or international schools? The school options can really narrow down the options. If you're moving for work, the location is probably already decided for you. If you're retired or don't need to work, spend time exploring Chile before you make a final decision. Many expats spend a few months in various locations before they rent a long-term home or buy property. 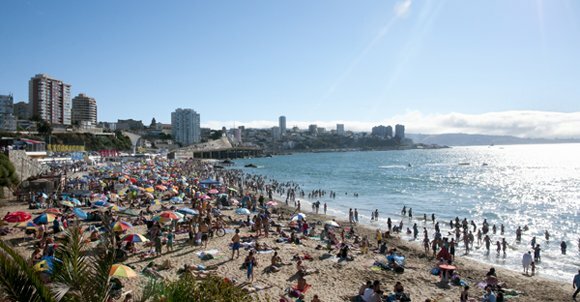 The Best Places to Live in Chile covers the most talked about places for expats to live in Chile including Santiago, Vina del Mar, Pucon, La Serena and Puerto Varas. "Health related items: vitamins, home remedies like cough drops and cough syrup, special shampoos like selsun blue, tinactin, metamucil -anything from cvs. Electronics: a good laptop, ipad, iphone, portable stereo system, headphones, all of your computer and music cd's. Also transformers of all sizes and strengths for any u.s. electronics. Food items: spices, sauces (I like mexican hot sauce and a-1), fixings for mexican salsa, corn tortillas, giant bag of krusteaz pancake mix, cake mixes, kitchen items like a french press, coffee grinder, garlic press," said one expat who moved to Puerto Varas, Chile. Our article, Moving to Chile: Shipping, Customs Inspections & Extra Baggage covers shipping to Chile, challenges with customs inspections in Chile (and missing items or shipments), items you cannot bring to Chile, ordering from Amazon and more. "We just went through the process. New and used cars cost about 20% more here than in the States. Buying new is easy, there are loads of dealers (we are in Lo Barnechea)... everything from Chinese cars to Ferraris! Buying used is harder because the dealers have limited stock, just what they received in a trade. We would not advise buying used from an individual or a used car dealer. Mandantory insurance is inexpensive and is purchased at the time of the auto purchase. Private insurance is a good idea, we used Liberty Seguors, annual cost was reasonable, about $500/year. Good luck," said one expat. "If you buy from a respected auto dealer (even used car), you avoid all of the hassle and fear, they take care of most of the paperwork, no notary needed... it's safer and easier than buying from an individual, unless you know the person. Also, most dealers will give you an unwritten, but valid warranty for the big stuff... about 90 days," advised another expat in a thread about buying a car in Chile. "If you are going to suffer an earthquake, better be in Chile. Buildings, installations, roads, schools, and in general public and residential buildings are built to stand during an earthquake. Of course schools. The seismic engineering in Chile is well respected around the world. This is not a hazard for you to worry, except for the normal shaking and tremors that may move your heart. But nothing more," said one expat. "The homes there are built to be able to take earthquakes and any quake under a category 7 is no concern. Small quakes are a daily event and go unnoticed. skyscrapers in Santiago are built on springs in the basement and sway with the quakes but they do not fall. Only some of the older adobe homes in rural areas are prone to cracks in the walls and crumbling," added another. With earthquakes come tsunamis, which are another problem in Chile. Expats advised newcomers worried about tsunamis to find a home that's on higher ground. Healthcare in Chile is managed by Fondo Nacional de Salud (FONASA), a public agency responsible for collecting and disbursing funds for healthcare, and also private options. In order to qualify for public health care, you must be a legal resident paying taxes in Chile. Private insurance companies called Instituciones de Salud Previsional (ISAPREs) enable care by private providers at private clinics and private hospitals, but they are typically much more expensive. Those that opt for ISAPREs pay more than the 7% mandated for FONASA. Many expats in Chile choose to have international health insurance that will cover them in Chile and in their home countries. To learn more about healthcare, read our article, 5 Important Tips about Healthcare for Expats in Chile. In a lengthy discussion about opening a bank account in Chile, one expat said, "Yes. Banking in Chile is a far cry from banking in the US. Paying bills is a nightmare with at least a half dozen numbers and codes required. I had a resident friend with good contacts in BCI Temuco who managed to get me a USD savings account set up as well as a debit card and a peso account with a box of checkbooks. Transferring from one account to the other requires signing a form at the bank but it works. I can deposit US dollar checks from my Chase bank into my BCI dollar account and transfer to my peso account at the current exchange rate. I tried to get Social Security to deposit my monthly payments directly to my Chile dollar account but it never happened and I am leaving it that way. It goes to my US bank and I just deposit checks into my Chile dollar account. To do all this I had to get a RUT number from SSI in Chile and a RUN number at the registro civil. Unfortunately they call the RUN number a RUT number so when they say enter your RUT number I never know which they want. Try one and then find out it is the other one. Opening these accounts took months even with help of an attorney in Santiago and many many calls and emails. A credit card is next. There are things you cannot pay for online with a debit card. Others you cannot pay with a credit card. Considering the great life there, I don't mind having to go to the Bank, to the Entel office etc. The employees could not be nicer. BCI is the leading bank with the best rated customer service. Santander is a distant second." Another added, "I have a Bank of America debit card and credit card. I can get maximum of 200,000 CLP per day using my debit card from the Banco de Chile or any other international bank's ATM but at a huge expense. 1,000 CLP transaction fee + another bank fee of 6,500 CLP per transaction. I have personally visited every international bank in Iquique and they all say the same thing. I have to wait until I am here for 2 years before I can open an account at the ONLY bank in Chile that has a direct interconnectivity with an american bank: ScotiaBank. My retirement funds can then go directly from my SSI and company pension to ScotiaBank. In the interim I am paying @ $11.00 for each 200,000 CLP. This is a huge bank charge for about 6 times a month to pay all my bills. Utility charges and rent. My credit card is accepted by every store except utility companies. This is a VERY expensive handicap that banks in Chile imposes on non-citizens. I have a RUT. It makes no difference. I have to wait another 6 months before I can get my own bank account here in Chile." "We still bank in the US. How? We have a US bank account and western union ourselves a monthly allowance and pick up here in town.. it?s a $21 fee with WU. We are members of WU and earn points so some months the fee is minimal. Also, we both have American Airlines Aviator Red Mastercard. They charge no foreign transaction fees. We use it to purchase groceries and supplies for our property. We then pay off the balance with our US bank account. All while earning air miles. I first signed up for this credit card a year ago and the bonus was 60,000 air miles which is a free round trip ticket anywhere in the world. My point is that for me a US citizen this has worked great. I can still manage my money. Any income can be direct deposited and any expenses for example a small loan in the US is on automatic debit," commented another expat. Do I need a special permit to drive in Chile? According to the US Embassy in Chile, "Visitors can drive with a valid U.S. license for the duration of their tourist permit (usually 90 days). Renting a car is also possible although insurance may not be available in some forms for drivers without a Chilean or international driver's license. Dual nationals and U.S. citizens residing in Chile should have a Chilean driver's license to legally drive in the country. An application for a Chilean driver's license must be filed at the motor vehicle department in the municipal building of your home district. General requirements for a Chilean driver's license are the following: 1) Applicant age 18 or older. 2) Chilean Identification Card. 3) School record to demonstrate that applicant has 8th grade education or higher. 4) Successful completion of the written and practical driving tests, and medical evaluation. If you have U.S. school records, they must be authenticataed by a Chilean Consul in the U.S. to be acceptable for official use in Chile." The US Embassy in Santiago wrote, "Law number 18490 mandates owners of motorized vehicles to have insurance coverage in the event of death or bodily injury as direct consequence of accidents in which the insured vehicle participates. It will also cover the expenses if you are a pedestrian or the passenger of a public motorized transportation service, but will not cover any damages to the vehicle. This insurance is called SOAP (Seguro Obligatorio de Accidentes Personales) and it must be purchased once a year when paying for the corresponding vehicle registration. If you are the victim of an accident report it to Carabineros (Chilean police) as soon as possible. Provide the complete name of the injured or deceased person, the license (plate number) of the vehicle, and the date, time and place of the accident. The police report is required to file the claim for compensation with the insurance company. Keep all the receipts for the expenses (hospital, medicines, funeral, etc) you may have as direct consequence of the accident. Although this mandatory insurance can cover an important amount of medical and/or funeral expenses, it may not cover all of them. Depending on the nature of the incident the law establishes different amounts of compensation. Learn more about SOAP and how it can protect you in case of an accident in the Chilean Securities and Insurance Superintendence website." One expat in Chile posted a helpful overview of the new immigration law that is expected to go into effect in 2019. He wrote, "The New Immigration LAW has not been approved yet, the situation is the same as it has been since 1984 to 2015. The new law should be passed mid-2019 and in effect before the end of the year (we think), the following is only valid until then. This is intended for people that have already been investigating about moving to Chile. If you relocate to live in Chile you should apply for a residency Visa, either Temporary (TR, which has 12 categories) or Subject to Contract SC if you don't qualify for TR." 1 Travel to Chile, having an outbound ticket, not necessarily a round trip. 6 For citizenship wait 5 years after your first visa." "Things like gasoline, propane and imported goods are more expensive in Pucon. Things like fresh food, wines, fruit, land, medical expenses, taxes, are cheaper to considerably cheaper," said one expat who moved to Pucon, Chile. "Living good is expensive everywhere what do you consider living good? I find we can live comfortably in Pucon for around $3000 / month. We purchased the house and contribuciones (property tax) is about $800 / year. A LOT cheaper than in the US despite the home being on 2 acres of land which would be worth a small fortune in the US. specially a place comparable to Lake Tahoe. Electricity is about half the cost of the US but that can vary depending on when you started your contract. Propane is expensive. A tank full ( 750 liters) is about $800 US. and can last all summer or maybe a month or two in winter. Food is healthy. Local grown seasonal veggies are inexpensive and free of pesticides or fertilizers. Goodbye type II diabetes! Beef is more expensive and can be imported from Texas, Paraguay or even Peru. Pork is local grown, cheap and excellent. Chicken also. Salmon is abundant and local caught depending on where you buy it. I get it straight from the hatchery every Thursday or from the river by fishing it myself. Seafood (mariscos) excellent and not too expensive. Wines and alcoholic beverages are well under US prices. You can hire a Haitian refugee to do yard work for about 35$ a day plus meals. Or a local mapuche indian for about $50 a day. Medical insurance varies widely. You can get very good mediacal services and drugs for free at the municipal hospital. You can buy FONASA national healthcare for about half the cost of Medicare without ever having contributed. You can purchase US style private insurance policies for about $400 a month but the service is not much different from the free version. Waiting times for appointments is anywhere from walk right in to three days. Dental is not covered by FONASA but is anywhere from free to a lot less than you would co-pay with the best insurance coverage in the US. Santiago is more expensive," wrote one expat in a discussion about cost of living in Chile. Another expat talked about living expenses, "The cost of living actually dependes of the budget you want to allocate to it. Most of Chilean families earn less than US $1,500 per month. And they probably got two kids. So 4 persons are capable of living with such sum. But if you want to live in a Puerto Varas lot with an acre of land probably you are going to pay US $1,500 to rent per month. Instead if you want to live in many towns as a low middle class like in La Serena, or Los Angeles, or Osorno, you could live well one perdon with US $1,500 including rent, utilities, internet, your mobile and dinning at home. The amount you spend on rent set the base to calculate all other expenses. For instance a small flat in downtown Santiago with two bedroms the rent could be US $600. Gastos comunes or common fees of the building add US $150 per month. But if the rent is $1,200 monthly probably those common expenses of the building could be US $400. On rural towns rent is cheaper." "There are private schools, charter schools (colegios subvencionados) and municipal schools (colegios municipalizados). My suggestion is to try COLEGIOS SUBVENCIONADOS for a foreigner wishing to blend rapidly with middle class Chileans. Some of them are outstanding. fees are affordable," one expat advised in a discussion about schools in Chile for expats. He described the three types. He wrote, "The private schools may have a monthly fee above US $300 (the cheapest, I believe). [Colegio Superior Cambridge] That is a small private school located near downtown. There you find the instructions to register. It is a modest school regarding facilities. Parents and students are middle class. Good to blend with Chileans. All the other private schools are beyond such monthly fee. Private schools never have teacher or student strikes." He went on to say, "Charter Schools (Colegios subvencionados) are privately owned and receive a subside from the government per student. So, they charge between US $50 to US $120 per month. The more they collect from parents, the less they receive from the state. A new law has obligated the owners of these schools to become a foundation to keep receiving government help. Otherwise they should close or become private schools. Charter schools have better facilities than municipal schools but less than the private schools. Their educational system may be under the influence of a church. Although parents can deny the option for kids to receive a religious class a week. They are excellent schools. For a foreigner, a charter school could be a good starting point to blend with Chileans, as middle class parents have normally their kids on this type of schools. Some of them are outstanding. They hardly have teacher or student strikes." "Municipal Schools are owned by every Comuna or Borough. They do not collect fees from parents. They are free. Books are given by the government. Teachers are paid by the state trough the Borough. Strikes are frequent causing chaos on the administration of families, if both parents work. However, they get a very active participation on public issues. Political leaders merge from this type of schools. Learning has to be reinforced at home if strikes are too frequent. There are some of these schools called EMBLEMATICOS, like Instituto Nacional in Santiago, starting on 7th grade. Their scores are likewise the most expensive private or charter schools. This school started with Chile 200 years ago. Very difficult to get in. Excellent teachers and a lot of strikes demand good students to keep grades high," he added. Another expat commented, "This is a list of Collegios Subvencionados. As Teo suggested they may be the best affordable solution for kids of expats. There are 10 pages of schools in Santiago." The International School Nido de Aguilas in Santiago welcomes students from age 3 through Grade 12. "Nido is really the only proper international school in Santiago. It runs on the northern hemisphere calendar and has excellent counselors who work hard to help new students fit in. A high turnover due to families leaving prevents cliques forming, and there is next to none of the elitism and snobbishness you get in other private Santiago schools. Kids do tend to hang out with others of similar background, with 3 main groups - English speakers, Spanish speakers, and Asians. But they mix too. The curriculum is based on the US, but is more advanced than most state schools there," wrote one expat parent with children at Nido. Another option in Santiago is Dunalastair School, which is a co-ed, British school that has three campuses in Las Condes, Chicureo and Penalolen. The school's infant childhood center is located in Las Condes. "What works for me is an app called What's Call or What's App. They are free apps. The first one you watch ads earn points and can make calls anywhere in the world free. I work remotely and I am able to call my clients in the US for free with very good signal through WiFi. I have all Apple devices. Another way to communicate is through Facebook Messenger. This is how I communicate with my family and friends as well as by FaceTime audio and video. All of these methods are free and work well. WiFi (free) is readily available it most establishments here in Chile. My husband has an android phone that he has service through WOM to make phone calls within the country of Chile. Hope this helps," advised one expat. "I agree with Becerra65. Two years ago I purchased a cellular phone service from WOM. 6 months later I discovered Entel and then a year ago I cancelled ALL cellular services here in Chile because I learned about WhatsApp. It is FREE and you can send text messages FREE and even leave voice messages. The only disadvantage is that there is no live inter-active instantaneous messages that you can send. 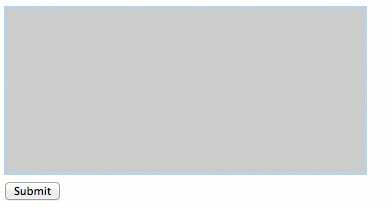 So I have subscribed to Nextiva for those rare times that I need to have interactive phone conversations. I use it only with my clients that I still interact with occasionally and the service is very reliable and the least expensive for live interactive phone calls anywhere in the world," added another. "They do have international packages but it's very expensive, you're better off getting a SIM for the country you are traveling to and using free wifi where ever you can. We use VTR for our internet home package, mobiles and cable TV all wrapped into one. It's a very good service, I work from home and am studying part-time so need reliability. I bump my iPad off my phone data when I'm out and about. International calling is somewhat of a grey area, I haven't found a provider in Chile who includes minutes or texts to other countries but with FaceTime, FB messenger, WhatsApp, Viber and Skype these days all you need is wifi," explained another expat in Chile. "I would tell a friend looking to move here to learn a little Spanish first, don't bring everything you own with you because you can find all you need here and prepare to have a wonderful, new cultural experience because Chile is an interesting and beautiful place to live," said one expat who moved to Santiago, Chile. "MOVE TODAY! Chile is like the pearl of Latin America. Great economy, standard of living, and it reminds me of what the US was like 50 years ago. Freinds and family are much more important then the number of toys that you have or the amount of yourt salary," mentioned another expat when asked about moving to Chile. "I would give them advice to be open minded, considerate of the local cultures, and respectful of local traditions. I have lived in three different countries around the world and no one can honestly say what it's like to live in any of those countries until they experience it for," commented one expat who made the move to Chile.